Belle Rose, LA - Flicker Promotions presents their 6th Annual Southern Big Bucks Nationals this weekend in Belle Rose, LA. $10,000 to Win on the Box Side with $3,000 to Win for No Box. Parking opens Thursday with a FREE Gambler Race on Friday. Click Here for Flyer and Info. Belle Rose, LA - February 8-10, 2018, the Southern Big Buck Nationals presented by Flicker Promotions returns to No Problem Raceway for the sixth year. This year’s main events include two $10ks on the electronics side, and two $3ks on the bottom bulb side. 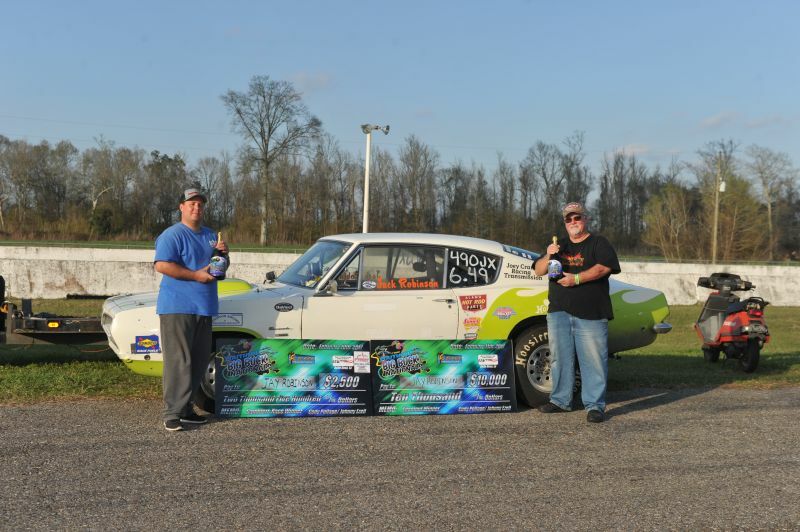 Belle Rose, LA - The 5th Annual Southern Big Buck Nationals returned to No Problem Raceway in Belle Rose, LA March 29-31. Racing was close as always. There was a racer appreciation dinner both nights, presented by J's Joint Bar and Grill in Plaquemine, LA, as well as a practice tree race Thursday night, and two shootout races. 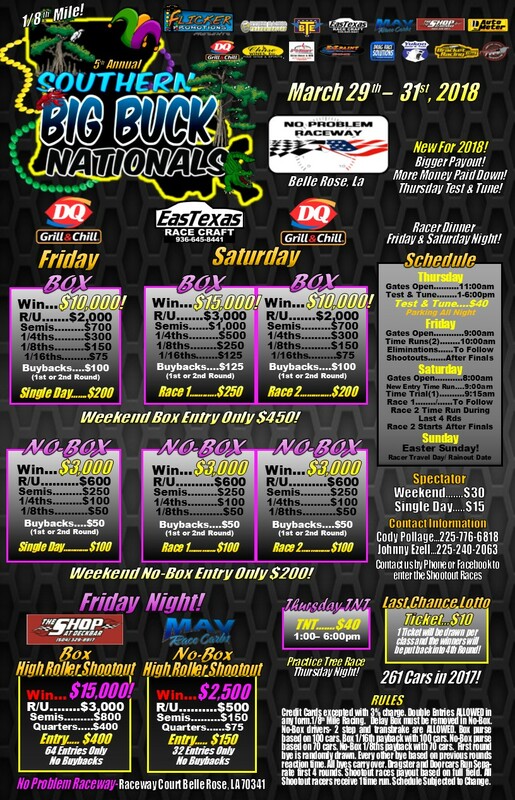 Belle Rose, LA - Big Bucks Bracket Racing returns this weekend in the form of the re-scheduled race from this past February and the Southern Big Buck Nationals at No Problem Raceway in Belle Rose, LA. $10k, $15k and $10k for the Top Bulb guys and $3k all 3 days for No Box. Click Here for Flyer! Belle Rose, LA - Other racers visiting the winner’s circle were Clint Castellow and his ’54 Ford over Guy Thompson in Super Street; Henry Kindle, Angleton, Texas, downed Michael Mims in the SDPC Top Sportsman class and Derek Dorey, Kingwood, Texas, beat Ricky Kay in Sportsman Motorcycle. 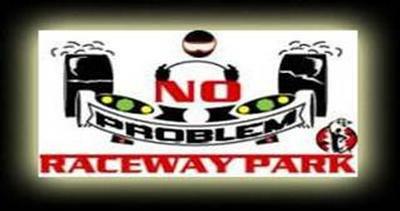 Belle Rose, LA - Cody Pollage, 25, from Plaquemine, LA, has been an employee of No Problem Raceway for more than nine years. His past duties have included grounds maintenance, water box worker, staging lanes manager, tower control and race official. Belle Rose, LA - Other racers visiting the winner’s circle were Ross Laris, Raceland, Texas, who won his fifth Lucas Oil divisional trophy in the SDPC Raceshop Top Dragster class; David Latino won his first in Super Stock, and fifth win in his career; and Shannon Brinkley, Highlands, Texas, took home his fifth career Lucas Oil divisional win in Super Gas. Belle Rose, LA - Over 240 cars showed up in attendance. Jay Robinson had an awesome weekend, going to three final round in two days, as well as Greg Parr from River Ridge, LA bringing home the $10k check Saturday night. 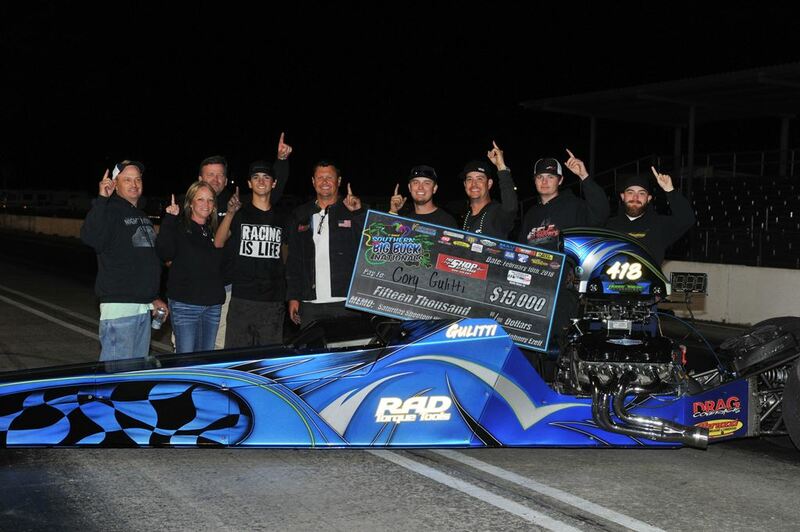 Belle Rose, LA - In other racing news Michelle Le Bleu, Lake Charles, La., won her second Lucas Oil divisional trophy in the KPE Top Dragster class; Britt Cummings won his second divisional race in Stock Eliminator; and Jeff Lopez took home his 11th career Lucas Oil divisional win in Super Gas. 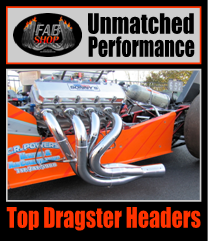 Belle Rose, LA - Austin Williams took home a pair of trophies scoring the double at this weekend’s NHRA Lucas Oil Drag Racing Series event at No Problem Raceway in Belle Rose, La. Louisiana racers Craig Bourgeois and Slate Cummings also won adding to their impressive collection of NHRA Wally trophies.